Donna, the protagonist of this novel, has been married for over thirty years to Marco, a horrible man who has made her believe she’s unstable and unworthy of anybody’s love or attention. Their daughter, Shelley, was packed to boarding school and has avoided the family home ever since. Donna has managed to survive thanks to a huge garden (partly the land of an old farmhouse) and her renewed interest in Horticulture. Researching heritage tomatoes she stumbles upon information that makes her believe perhaps her disastrous and unhappy marriage (at least for her. Her husband seems to get all he needs from the relationship and other relationships) is not her fault. And her husband’s behaviour might not be unique either. She discovers malignant narcissistic personality disorder. Jo Robinson creates a unique set of characters and a beautifully nuanced novel of sensations and feelings out of a story that might sound familiar (I think many people who read the novel will perceive similarities between the couple in the book and some people they know, if not in the detail, at least in the essence). Despite that familiarity, the immediacy of the story (although it is told in the third person, we see everything that happens from Donna’s point of view, live her anxieties, panic, feel her frustrations, and finally, her hopes and achievements), the elements of surprise (Donna keeps some cards under her sleeve), the sympathetic and likeable characters (except for Marco), and the overall optimism of a book that shows the positive effects of creativity (gardening in this instance) and friendship make it highly recommended. The pace of the book changes from slow and meditative at the beginning (when, like the character, we live inside of her head, in fear of what might happen if we dare to tread outside of Donna’s house and insular life) to fast-paced and full of adventures, danger and varied characters at the end. The novel flows well and we engage and root for the main character. The ending is satisfying and the novel is a pleasurable read. Although this is a work of fiction, it reminded me of Alice Walker’s In Search of Our Mothers’ Gardens in its love for alternative ways of finding one’s calling and life-affirming creativity. Having read the author’s blog and now one of her novels, I can’t wait to read more of her writing. I expect more fascinating topics and engrossing stories. As a side note, I’m a psychiatrist, and narcissistic personality disorder is one of the well-described personality disorders in several psychiatric classifications. Most psychiatrists would distinguish between mental disorders and mental illnesses. Personality disorders manifest themselves as a series of traits of an individual’s personality (as such they appear from a young age, and continue to manifest themselves, in most cases, throughout the person’s life). They are considered disorders when they have a negative impact on the life of either the person, others who relate to them or often both, and in most cases are extreme manifestations of characteristics that a lot of people might share. Among other personality disorders are: borderline personality disorder, paranoid, obsessive, depressive, anxious, antisocial…Mental illnesses are mental disorders too, although those appear at a certain point in life and like other illnesses can last for a period of time and get better (with treatment in most cases, although some mental illnesses run a chronic course and it’s more difficult to be specific as to when they are “cured”. It is usually possible to recall a time before the illness became manifest). People suffering from personality disorders might present with short-lived pseudo-psychotic symptoms (delusions or hallucinations), although in the case of Marco there doesn’t seem to be any evidence of that (or at least Donna does not describe delusions or hallucinations). It is likely though that if we scored Marco using the PCL-R (Psychopathy Checklist-Revised) he would score above the cut-off point for psychopathy, although this is not a specific psychiatric diagnosis. Thanks for reading and if you ‘ve enjoyed it, like, share, comment and click! 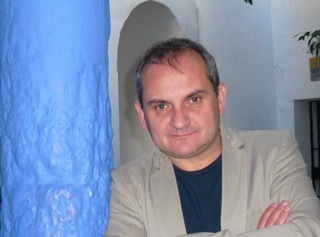 For the last few weeks I’ve brought you some writers whose main work is in Spanish but who have had some of their novels translated to English. I thought it would be interesting to get a different perspective on the business of writing, and it would be an opportunity to meet across the borders of language. Today I bring you a writer whom I’ve also met in a variety of social media platforms and when I got to check his writing, I was impressed by his background and the variety and number of publications, some more directly related to his studies and profession but others not so much. 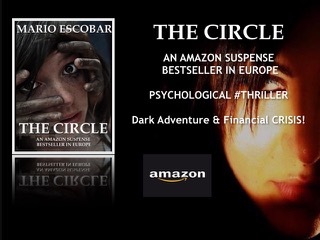 The Circle an Amazon Bestseller Europe in the category of suspense. The truth is that I’ve always enjoyed writing. When I was a child I started writing plays for my school and writing fairy tales to submit to competitions. When I was a teenager I carried on writing. For me, becoming a writer was a dream, but I never thought I would manage. The truth is that I consider myself a mixed writer (or hybrid as others call them), as I still publish some of my books with publishing companies such as HarperCollins, Stella Maris or Edelvives. Publishing independently has allowed me to have more control over the process and more economic stability. When two of my readers told me they had become writers after reading my books. Such is the magic of writing and books. What made you think about getting your books translated? I’ve always liked to play hard and bet big. I prefer to take risks and make mistakes than never try. I found a great translator, my book in English is better than the Spanish version, and I thought I should give it a try. So far things have been going well, although it is a bit soon to know what the overall result will be. What was the process like, when trying to find a translator? The most difficult think is looking for and finding a good translator. We shouldn’t forget that it is a big investment. To look for a good translator is not cheap. I’ve found one of the best ones. And then you must have a lot of faith in your book. 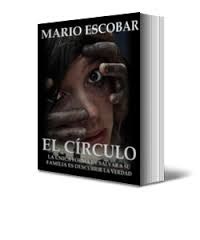 In my case, the same person had translated one of my books ‘Francisco’ (Francis, his book about the new Pope) for the publishing company Harper Collins, and I was so happy with the results that I offered her to translate what would become The Circle. Could you tell us what your books mean to you? My books are a gift I love to give to my readers. I enjoy them whilst I’m writing them, but what I wish for the most is that the readers will enjoy them too. Especially those who are away from their family, country or community; I hope my books will keep them company in the hard journey of life. Any advice for your fellow writers (especially new writers)? That you have to do a good job, believe in yourself and not pull any punches. The most important thing is to never give up, to be constant and persevere and to keep improving little by little. Here are a few links so you can find out even more about Mario. From Amazon’s Top 100 Books sold in the USA, France, Germany, United Kingdom, Canada, Australia, Mexico and Spain. Soon to be adapted for the big screen. Famous psychiatrist Solomon Lewin has left his humanitarian work in India to serve as the chief psychiatrist at the Center for Psychological Illnesses located in London’s Square Mile financial district. Though well paid, the job is monotonous, and Solomon is also going through a rough patch in his marriage with Margaret. He begins scrutinizing the more mysterious cases of the center’s long-term residents hoping to find something worth his time. When he comes across the chart of Maryam Batool, a young broker from London who has lived in the center for seven years, his life will change forever. A snowstorm looms over the city at the start of the Christmas holidays. Before Christmas Eve dinner, Solomon receives an urgent call from the center to come at once: Maryam has attacked a nurse and seems to be awakening from her long stupor. What did writing The Circle mean for you? It was a delightful surprise. It was my first suspense novel. I’d already written several intrigue novels, and I thought suspense would be even more exciting. In suspense, the readers suffer almost as much as the characters themselves. The Circle has all the marks of a detective story. The reader doesn’t know the truth until right at the end. Why did you set the book in London’s Square Mile? Tax havens are one protagonist in our current worldwide financial crisis. London is the world’s largest financial center, and it holds a lot of secrets, just like the protagonist of my novel. What should the reader expect from this new book? An avalanche of suspense. A major dose of intrigue and action but also the inner workings of a family struggling to fit in with their surroundings. A marriage that’s not working. Disdain for boring daily life that, after all, turns out to be the most important thing we’ve got. The personal demons of a world that has no idea where it’s headed. Solomon faces countless moral dilemmas, like judging people too quickly, recognizing he can’t defeat evil by himself, and understanding that Evil with a capital “E” has a name and a face. Why does it take place in the middle of a snowstorm right on Christmas Eve? The storm is another protagonist in the plot. In some ways it’s a symbol of the internal turmoil of the characters. This is not a novel of good guys vs. bad guys. It reflects the complexity of being human, our contradictions and how we face them. 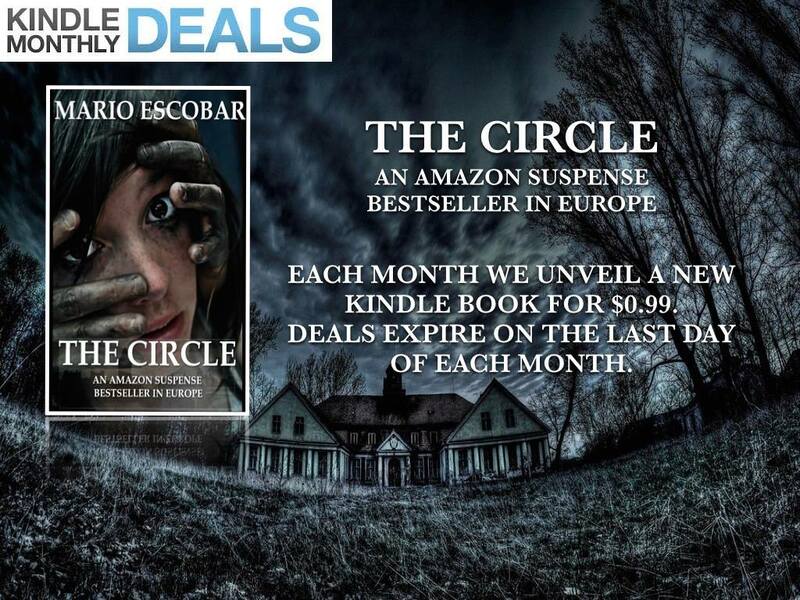 The Circle has reached tens of thousands of readers from Germany to Australia, Latin America to Spain, because, at our core, we’ve all got the same fears and hopes. We’re all part of this big family called Earth. 5Maryam’s case was more than just a challenge. 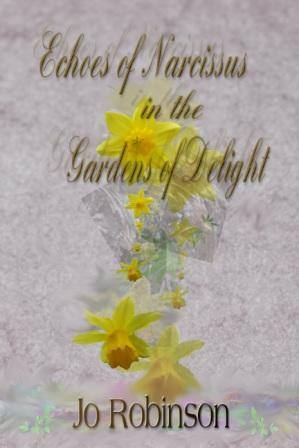 It was a bright spot in a dull, gray city job…..
….Little did Solomon know what he was getting into! It was the summer of 2007 in London. Maryam Batool, a Muslim orphan, was a very successful stockbroker. All she cared about was money. Upon turning on the TV she heard that three American banks had declared bankruptcy. Fast forward a few years to the London Center for Psychological Illnesses, located in the Square Mile where we meet Solomon Lewin, the new chief psychiatrist of the center. Having spent ten years in Calcutta, him and his family just moved back five weeks ago. He is not expecting much excitement in the job, having the opinion that the wealthy prove boring. Most of his clients are white males aged 35-45, leading arrogant and almost insufferable empty lives. In his attempt to free up some beds just five days before Christmas, his eyes catch a report on a patient who has been there the longest. Who is this patient? Maryam Batool! She was committed in August 2007 after several suicide attempts. She no longer communicates except to say one single phrase, “The Circle”. John the previous, now retired, chief psych tells Solomon to leave Maryam alone as there is no solution but Solomon is intrigued. Frustrated with his home life and rambunctious kids even though he still loves his wife, Margaret, he decides to work from home on Christmas Eve. Totally surprised when he gets a call in the early evening from the center saying that Maryam has attempted suicide again! Apparently there was a visitor claiming to be her sister? This is the second visitor in a week! Returning to the center Solomon starts getting suspicious when the receptionist is not at her desk nor does there appear to be anyone else around. Why won’t the light switch on? What is going on? This is followed by a phone call from his house from someone claiming to be from Scotland Yard’s Fraud Squad? Hopefully this is enough to whet your appetite. 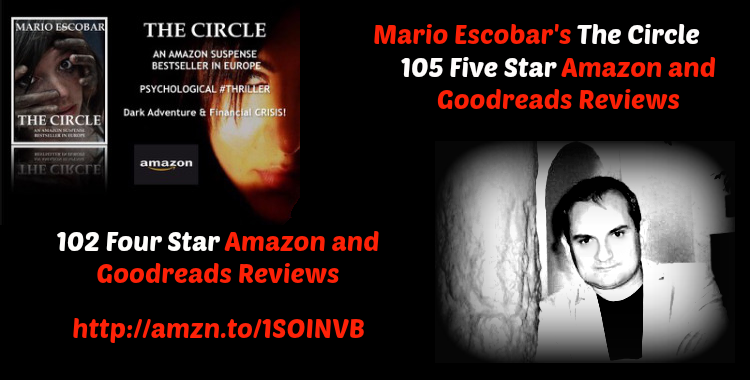 The above is truly only the beginning in this fast paced thriller. It gets a LOT more interesting and dangerous as Solomon tries to figure out the truth of who is telling the truth and who is lying. What does Maryam know/have that she cannot remember? Does she have both Post Traumatic Stress Disorder and Post Traumatic Amnesia? 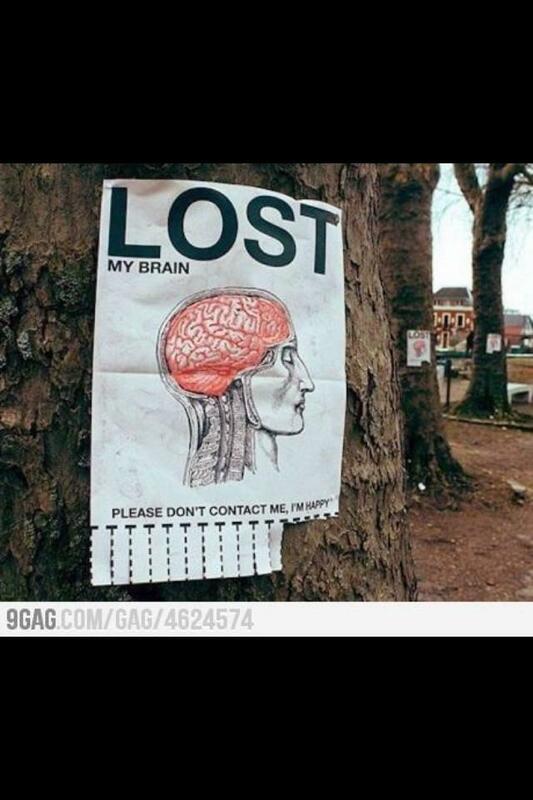 VERY clever story. All I can say about the ending is “Oh my goodness!” I will say if you like books with happy endings then don’t read this one! It is a well-written story and just the right length for the time involved. It keeps you gripped and not wanting to put the book down. 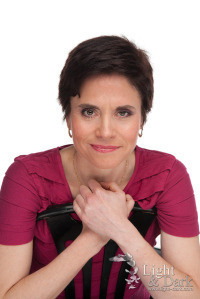 In case any of you speak Spanish, I leave you a link to a fascinating podcast where Blanca Miosi, another one of my guests, interviewed Mario Escobar. I leave you both the link and the interview direct. It’s a very interesting series where every week there’s a new author, so if you’re confident with your Spanish, it’s a great way to meet new people. Thanks so much to Mario Escobar for this great interview, thanks to all of you for reading, and you know, like, share, comment, and CLICK! I am a psychiatrist and therefore you’ll understand I would be interested in a book with such a title. I didn’t expect what I got, though. This is an extraordinary book. Extraordinary both, in the sense of not your normal type of book (whatever that might be) and also because it is one of a kind and exceptional. I’ve read some of the reviews comparing it to Sylvia Plath, Derek Jarman…I understand. This is a book that is told as a memoir, narrated in stream-of-consciousness, with poetic interludes and fragments that come slightly closer to a diary narrative, but vague, uninterested in places and times as such, and much more focused on sensations and feelings. The wandering nature of the narrative (we travel from Berlin, to London, New England, and back in and out again, and also travel inwards, into the inner bowels of the city, particularly London) reminded me of the Beat Generation, particularly On The Road. If Jack Kerouac’s book was so much more than a travel book, this is also a memoir of not only a person, but a place, a time, and extreme experiences. The problems with mental health (or with the mental health services, although I’m not particularly familiar, other than what I’ve read and watched, with how they function in the US) of the protagonist, her difficulties with drugs, her fall into a bottomless pit of prostitution and drugs aren’t told as a news item or a call to action. Sometimes in the middle of the most abject experience or ugliness, there is such beauty in the language that it’s difficult to reconcile the content and the tone. But it is, after all, art. Lyrical, full of brilliant lines, breath-taking description, but also harrowing passages, it is not a book for everybody, and it is not an easy read (both from the point of view of the language and of the emotional impact). But it is a very rewarding one for those who dare. perhaps the tusks of a mammoth? This is not a book for everybody, but if you like a challenging read, that will make you think and will transport to places and experiences outside your comfort-zone, I recommend it to you. Be brave! Need Psychiatric Advice for Your Book? I’d been having a chat with Ronovan about the possibility of writing something regular for the blog, apart from the reviews that I do as often as I can, and we’d discussed some ideas. As I’m a psychiatrist and had until recently been working in forensic psychiatry, I thought about the possibility of offering a service to authors who are considering either writing about mental disorders in their books, or would like a psychiatrist’s point of view or opinion on some conundrum they find themselves in (well, they find their writing in). The idea at the moment, if you think that could be of use, would be to create a form where you might have a bit more space than in the comments, to describe the issue (you could also share a short sample of the writing…) and then I would discuss it by way of a post. You can be as specific or as vague as you like, although I might ask for more details if I think it could help. When discussing what to do to present the idea for the future posts we briefly had a discussion about character profiles. As a psychiatrist, I’m a medical doctor who went on to study psychiatry. Although we do study psychology as part of the degree, that’s not our specialty. I’ve attended courses on Personality Disorders and how to diagnose them (and they are a mine of information, believe me) but it was never part of my job to produce anything like a profile for the police. Although we had to give an opinion as to the mental state of the person, we did not get involved in the trial, other than recommending if they needed to be in hospital to treat their illness or condition. Thinking about what to write about brought to mind some curiosities, not all psychiatric in origin, but that tend to come to the attention of psychiatrists. I found two superb slideshow that I leave you the links for, illustrating some of these syndromes that seem straight out from a fiction novel. Only, they do happen. Yes, I have met some people suffering some of them, although thanks to the DSM V (Diagnostic and Statistical Manual of Mental Disorders, Fifth Edition) there are some new ones, like the Paris Syndrome, that I’d never heard about. The culture-bound syndromes, that tend to affect people from certain areas exclusively, I have never experienced, but I have noticed in my practice that different cultures deal with mental health difficulties, and manifest mental illnesses in different ways. -Capgras delusion. The idea that somebody close to the sufferer has been replaced by a double. (Yes, I know you’ve watched the movie…but hey, it happens!). I’ve known patients that presented with this. (It can happen in a variety of conditions although the ones I’ve known were suffering from schizophrenia). -Fregoli delusion. Here the patient believes that a single individual is disguising himself or herself as a variety of people (Fregoli was an Italian actor who could change clothing and take on many identities in his stage show very quickly, therefore the name). It is rarer than the previous one. -De Clérambault’s Syndrome. A person (more common in females but not exclusive) believes they are loved by somebody very important, and this can cause all kind of problems (following that person, harassment, scenes…). If you’ve read Ian McEwan’s ‘Enduring Love’, I think it’s a pretty good example. Of course, who’s very important is a bit relative, but important in relation to the subject’s social standing or position. -Othello Syndrome (‘morbid jealousy’). Here the classifiers borrow from literature. I think you can guess. This is not as uncommon as some of the others and sometimes is seen more in people with a history of alcoholism. It is irrelevant to the diagnosis if the partner might or not have been unfaithful; it is the way the patient reaches such conclusions and their reaction to it that causes the description. -Ekbom’s Syndrome (delusion of infestation). Pretty self-explanatory too. This can occur in people with a history of substance misuse (cocaine is a big culprit), but also a variety of neurological and psychiatric conditions. -Cotard’s Syndrome (delire de negation). The person believes that their body has disappeared or they have no entrails, etc. As a matter of clarification, these syndromes are descriptions of symptoms, not a diagnosis. The underlying diagnoses can be varied. (The same symptoms might correspond to very different illnesses). I won’t go on, but do have a look at the links. And remember to let us know if you’d be interested in an ‘ask the psychiatrist’ weekly (or thereabouts) post. Thanks so much for reading, and if you’ve enjoyed it, remember to like, share, comment and CLICK (and fill up the form if you have any queries)!